As perfect Christians we might never miss a Sunday service, but does the Sunday service the only time we spend in fellowship with our Lord and our fellow believers. Jesus issues this final call to his disciples and repeats it thrice for Peter’s benefits. Jesus doesn’t leave his disciples without any support but promises a counselor (Acts 1:4-5) who will guide and so that they can continue this fellowship with God and fellow believers. 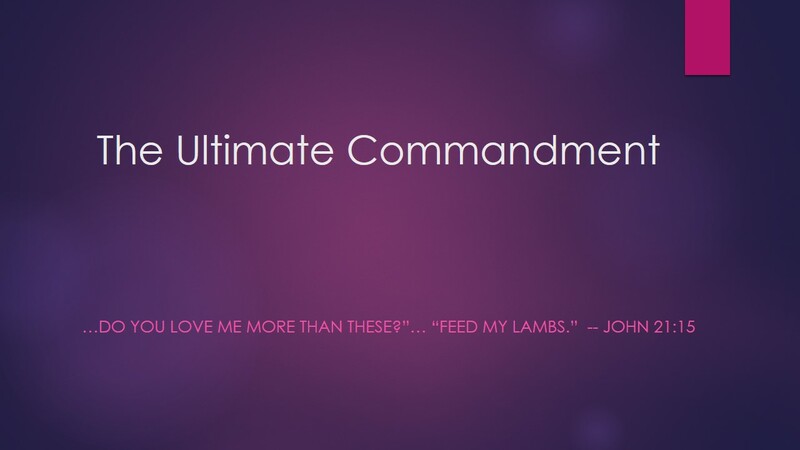 Feed my Sheep… but before that we need to feed ourselves with his word. No one can share their salvation with us. Unlike an insurance plan where the family heads insurance coverage covers his entire family, there is no such insurance plan for our souls. We always have support in the form of Holy Spirit without whom even the scriptures would be a mystery to us. (John 16:15). In the book of acts we see the apostles performing miracles, being filled by the Spirit healing many, but there was a time when these same apostles could not perform any miracles (Matthew 17:14). Even Jesus cursed them for being of little faith. But after the coming of the Holy Spirit they could perform miracles that they witness Jesus performing. The difference is Faith and receiving the Holy Spirit. The counselor is always ready to transform our lives, explain to us the scriptures in a deeper way, give us comfort in times of need , courage in times of fear, all this only if we let him in our hearts. But if we decide to be for Jesus, be completely for Jesus because there is no place for lukewarm Christians in the kingdom of God. Ananias and Sapphira both decided to keep back their proceeds from the sale of their property but wanted to let the Church know that they are giving their entire property. (Acts 5). Such half-hearted decision on their part was duly punished. The reward promised to us is twofold, the eternal reward the spiritual reward .We all keep hearing about this eternal reward. Rev 22.12. The gift of eternal life. But his reward is for us to enjoy in this life also in the form of gifts of the Holy Spirit, comfort from the counselor in times of distress, love for our persecutors, forgiveness for our enemies and so much more that the fellowship the Holy Spirit has to offer us. Oh the blessings of God are so wonderful and the cost will one day seem as nothing, thanks for such a wonderful share.